EVANGELIST JANETTE G. DANIEL is the wife of Bishop James E. Daniel, Senior Pastor of Philadelphia Ministries and together they are the proud parents of four daughters, five grandchildren and one great grandchild. Evangelist Janette Daniel was baptized in the name of Jesus in 1978 in Hampton, Virginia under Dr. Merlin Ford, Sr. and later received the gift of the Holy Ghost. A seasoned and accomplished math and social studies educator; Evangelist Daniel retired from the Orleans Parish Public School System after 23 years of faithful service. Since her retirement, she has been a tireless servant for our Lord and Savior Jesus Christ, working diligently by her husband’s side. After acknowledging and accepting her call to the ministry, Evangelist Daniel became very active in teaching and preaching the Word of God for various ministries throughout the nation. Evangelist Daniel is the founder of the Daughters of the King Women’s Ministry and the Christian Women’s Retreat. 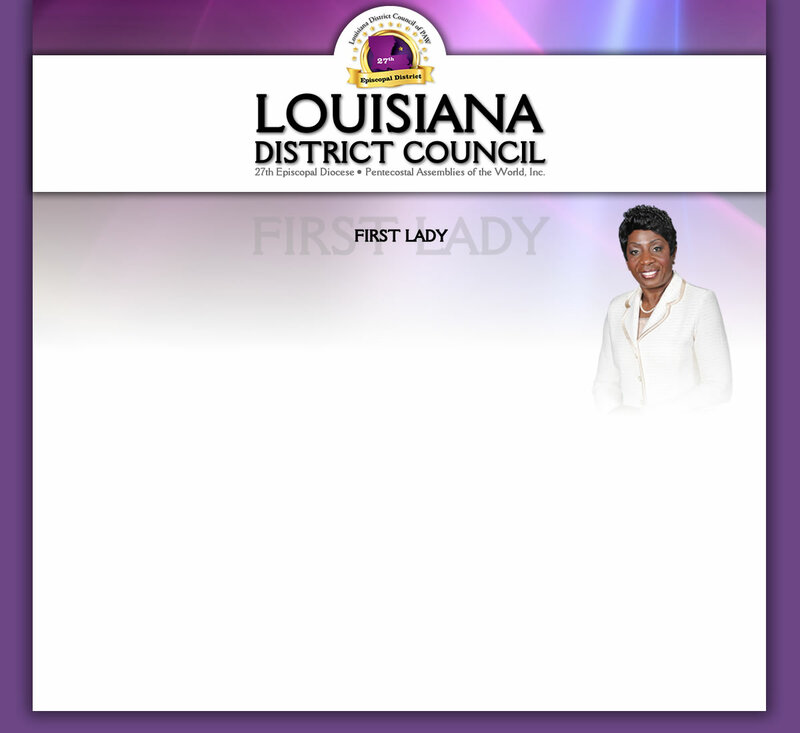 She also serves as the President of the Louisiana District Council’s Ministers’ Wives and Ministers’ Widows Auxiliary.